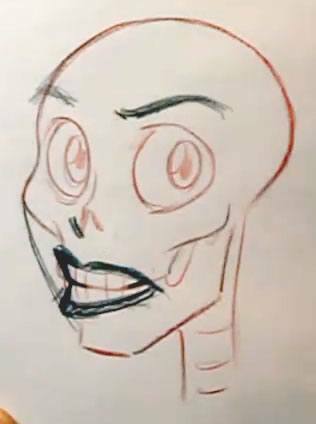 This whole lesson on drawing face expressions is based on drawing over the skull. 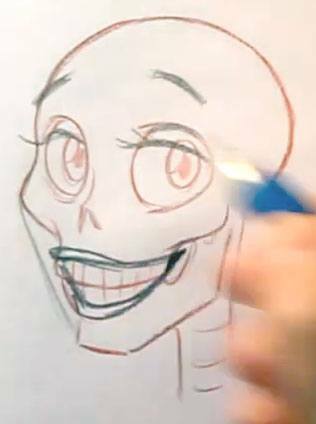 Follow along with the video and use the same techniques that you’ve learned in previous lessons to draw a simple skull. 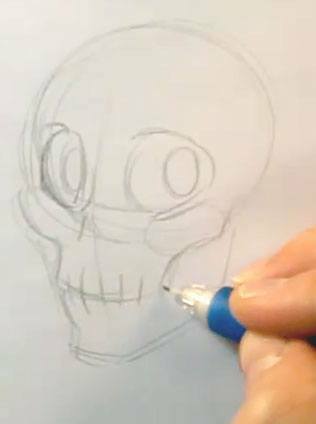 If you need a refresher course, check out this blog post on How to Draw a Skull. 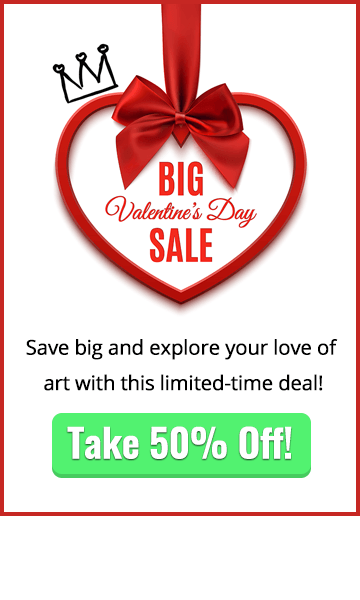 Grab a colored pencil and use a heavy stroke to draw over top of the sketchy lines created in the previous step. Colored pencil is harder to erase than regular pencil, so it’ll make a good base to draw several poses on top of. 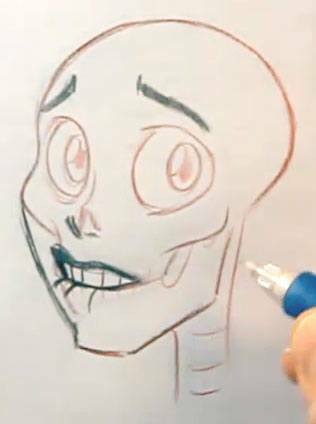 If you don’t have any colored pencils handy, don’t worry – just use dark lines with your pencil to draw the skull. 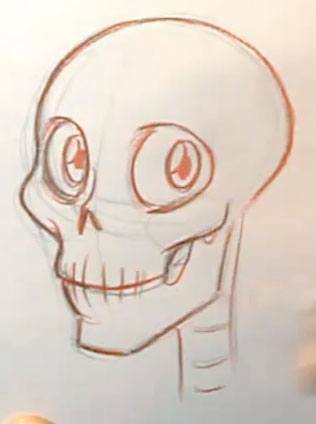 As you begin to draw the details of the face over top of the skull, pay attention to how they curve with the skull; closely following the bone structure underneath. This image is a great example of how the eyelids fit tightly against the eyeball and then form a crease above the eye where the eye ball meets the eye socket of the skull. Quickly erase your pencil marks from the last expression and then follow along to create an angry expression. When drawing face expressions, a simple change of the eyebrows and lips is all that you’ll need to go from the smile in the last expression to this new pose. This one is even easier because you already have the lips in the correct position from the last expression to create a worried look. Just erase and reposition the eyebrows to complete this expression. Go one step further and just adjust the lower lip to get an even more concerned variation of the worried expression. After you’ve completed this one, go stand in front of a mirror and try making some additional expressions with your own face. 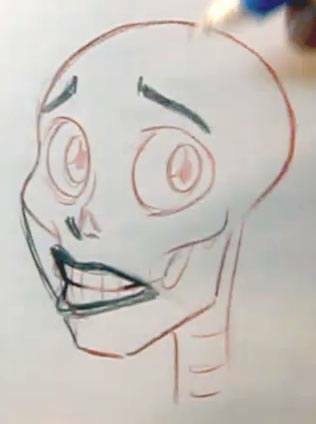 And then try drawing them on top of the skull like you’ve been doing for extra practice. 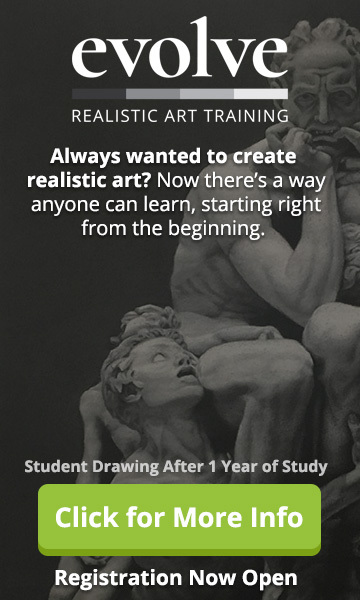 We hope you’ve learned a lot about drawing face expressions by reading this article. 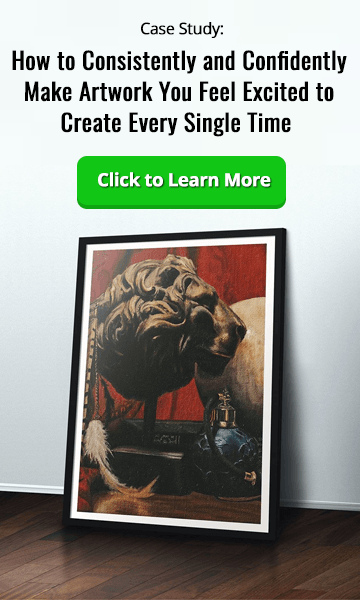 PK 103: Should You Be Exhibiting at Art Conventions?